'City of Gold' -- Out This Weekend -- Is the Best Movie About LA. Maybe Ever. 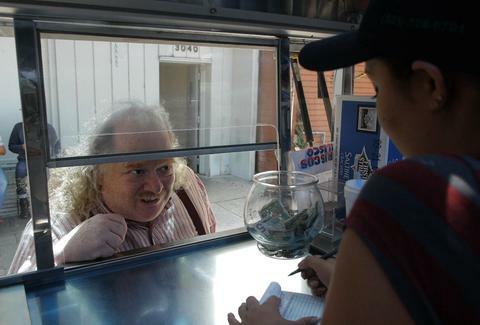 "Everybody in the world has an idea of what Los Angeles is, even if they've never been here," Jonathan Gold says towards the beginning of City Of Gold, the documentary (stay with us! Seriously! It's great!!) being released this weekend about the lauded LA Times food writer, whose own international claim to fame came with a Pulitzer Prize win in 2007. And it's true: ask anyone around the world their thoughts about LA, and no one will respond that they know nothing about our city -- rather, they'll blabber on about Kim Kardashian, or Melrose, or Rodeo Drive, or sunshine, or all of the above. And that's fine: LA is certainly defined in a way by our celebrities and weather and posh shopping, But true Angelenos -- those that love this city for the nooks and crannies as much as the fancy-schmancy stuff, people who have come here from all over the world to find a better life, whether that means seeing themselves on screen or opening a tiny strip-mall Thai restaurant focused on spicy Southern specialties -- know that the heart of the city's not named Kardashian at all. City of Gold basically confirms what we all already know: the heart of the city lies in the one beating inside Jonathan Gold. For a city so focused on outward appearance, Gold's always been an unlikely spokesman. For a city so focused on outward appearance, Gold's always been an unlikely spokesman: his constant suspenders are far from fashionable, his food-critic body size not exactly fit for skinny jeans, his David Crosby mustache lacking any sort of ironic pretension. 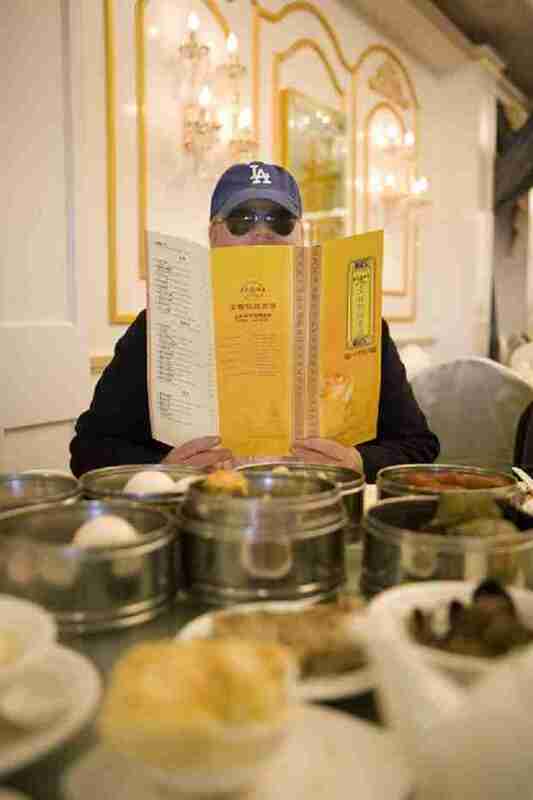 But Gold's acumen for finding the city's best food, regardless of its location, price, or ethnicity, is literally second to none: he's not just the first food critic to win a Pulitzer, he's the only one, and the movie is full of his peers and inspirations gushing over his words. Even if you're not a Gold acolyte, though, you'll want to see City of Gold: it's as much about Jonathan as it is about the city he loves. Filmmaker Laura Gabbert shows us the city in familiar ways -- from overhead, or through the windows of cars, mostly -- but each shot feels like it's in love with its location, whether it's a quadcopter shot whooshing over Fairfax or a window shot of Gold describing each specialty along a road in the San Gabriel Valley. Unlike just about every movie about our city, this movie doesn't want to paint LA as glamorous or even navigable: each map it shows gives a true sense of the massiveness of the city's scope, demonstrating Gold's geographic breadth, and yours, too. And the food the movie features is food you'll want to eat, ASAP, and feel very lucky that it's available in your hometown: the toothpick lamb at Chengdu Taste, the seafood tacos at Mariscos Jalisco, the injera at Meals by Genet, all within a short drive from wherever you are, right now, with their creators often featured on screen describing their own versions of the American dream -- and their hard-fought method of achieving it. Never does the movie become about Gold's impact on their businesses, but rather how their hard work paid off. It's the immigrant experience seen through food -- and through Los Angeles itself. Is it sort of feel-goody? Damn straight. It makes you feel good about not just its direct subject, but its assumed one, as well. 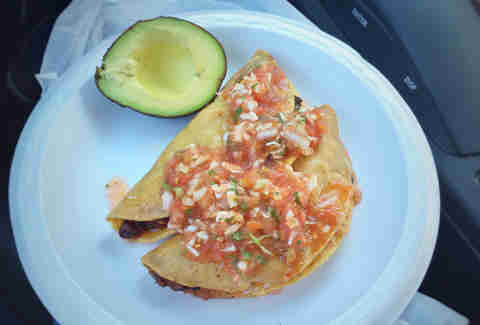 And next time someone's hating on LA, just make them watch it... preferably, on an empty stomach. Jeff Miller is probably eating somewhere featured in City of Gold right now. Find out at @jeffmillerla on Instagram or @thrillistla on Twitter.